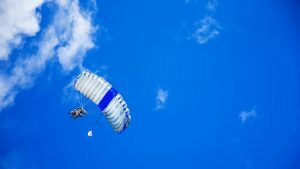 Skydiving is a lifestyle that requires High Risk Life Insurance for coverage. Medical Condition, High Risk Profession or Hobby? Affordable High Risk Life Insurance is Still Available for You. Looking into high risk life insurance while having a Medical Condition is certainly not enjoyable let alone straight forward. I’m with you believe it or not. No one enjoys shopping for insurance, period!! Let’s face it, no matter what, this type of financial planning, life insurance is not pleasant to think about. However, we all have to be responsible and deal with it while we can. It just brings peace of mind and closure to your financial planning by protecting your family and or business interests. With that said, lets get underway in helping you understand what you’re searching for. Who Is High Risk Coverage For? Literally, thousands of life insurance consumers, men and/or women who have been evaluated as “high risk,” face real challenges in obtaining affordable, life insurance. Why? Some life insurance consumers have one or more medical conditions such as Diabetes, for example. Do you have multiple “speeding” violations? Maybe you work up on power lines for a utility company or are an underground miner? Other people just pursue riskier hobbies like flying or scuba diving. What these life insurance risks ALL have in common is that they are frequently turned down (declined) or “rated up” drastically for coverage. If you’re one of these high risk consumers, you may even have a bad taste in your mouth or have just considered giving up on having affordable Life Insurance coverage. Don’t lose heart though. It may be hard to believe that you may very well have multiple options for life insurance especially if you have been previously declined. We work with all the top carriers…dozens of them. They all evaluate your individual risk profile different. Since high risk life insurance is of greater risk to any life insurance company, you can expect to pay an additional premium over what a normal risk would be to the same insurer. Sometimes it is hard to understand and accept the factors that insurers use to rate the risks to cover applicants. Yes, even a driving record with speeding tickets is of concern to a life insurance company. It doesn’t matter if you have never been in an accident or not. Speeding tickets are considered a very significant risk factor. Whatever the reason, you will not be getting the ultra low rates you hear advertised on the radio if you are in need of high risk life insurance. Those are quotes are for people in optimum health and pose no other clear risk to the insurer. Affordable, high risk coverage is not going to be found at State Farm, Allstate or the like. What you will find there is out of sight rates or worse yet, a decline put on your record. You will need to seek out an independent life insurance agent/broker who works with a lot of carriers and specializes in handling tough to insure cases. A reputable, seasoned, “high risk” independent will sort out companies that will give you the best offer. High volume call centers are a ticket for disappointment with high risk cases. Remember, your independent broker/agent is you advocate here. You want them focused on your needs, not the next caller who needs life insurance. You are a special case if you are considered high risk. Not all life insurance companies will accept your risk. Others may offer coverage, but it is still a bit expensive. There are actually numerous insurance companies that regularly offer affordable life insurance coverage to meet our clients needs, whether higher risk or not. As a specialist team working with these carriers, we are able to “shop” your specific needs to these particular carriers to find you the most competitive rate available even in a special situation. Special Risk Life Insurance maybe the answer to your dilemma. All of our companies have top notch financial ratings with AM Best assuring you that your coverage is here to stay for as long as you need it. If you think that a high risk life insurance policy is too expensive because of your health or lifestyle, you’ll be surprised to see how affordable a policy can be. Most people have the misconception that because they have a condition such as diabetes or even prostate cancer that they can’t qualify for a life insurance policy, let alone be affordable. In reality, it is simply not as big a problem as some people might believe. This is why it is very important to have an advocate that has the right experience. Your not going to qualify for the lowest rates, but you can still find very affordable options after selecting the right representation. High Risk Life Insurance cases are not easily quoted or accepted by many of the companies. You will spend countless hours trying to talk to the right companies who may take your case. Even then, you may be sold the wrong product and/or end up being overcharged. We can secure affordable offers of coverage for clients that have Type 1 and Type 2 diabetes, High Blood Pressure…even Prostate Cancer among many other medical conditions. We can also get you affordable coverage if you are a Pilot or a Scuba Diver and at rates much lower than most have expected. You do not pay anything more to have the help of a professional advocate. However, you have a lot to lose without proper guidance. Whether you need temporary (Term Life insurance) or a permanent form of coverage such as Whole Life or Universal Life Insurance, we have the answer. Be careful who you choose to place your business with. Many agents/agencies just do not have this kind experience or worse, are captive with one company. “ABC Life Insurance Company” (fictitious life insurer) is probably not a sound solution either. Watch the big sales offices. Those offices frequently work on quotas and their representatives are high pressured to make lots of sales. Then you have your big quoting services that just sell your information to those willing to pay them for it. Yes, your information may be sold to several different offices whom all will be calling on you. Many of the big names out there are just fine if you don’t have a special risk. Some of them have access to the same carriers as we do here. The difference is in how we shop your needs directly to company underwriters. We obtain actual tentative offers we bring you before you ever apply. There are no “accurate” quick quotes for high risk life insurance applicants. Life insurance underwriters determine your rate on a case by case basis. Health condition, high risk life insurance does demand a fully independent and seasoned life agent/agency who has not only access to many carriers but also knows how to work with life insurance company underwriters to secure you a good offer instead of a decline or unreasonable rate up. The key to finding the best life insurance for you is to find a company that will look more favorably at YOUR individual situation. Our job is to find the ideal one for you. For specific tips on how you can save money on your high risk life insurance, a read of this article should be helpful. Pete, Peat and Repeat…you should only work with an experienced professional agent or agency like Special Risk Life. Why? Special Risk/High Risk Life Insurance takes a greater level of training and experience than simple term life insurance. A team working with specific carriers that are most liberal to higher risks is our silver bullet. That is the key to real savings and the coverage you want. Inexperienced and/or Captive Insurance Agents (represent only 1 insurer) usually lead to a decline or a big rate up. On top of this, a decline could leave you or the applicant with a negative mark in the MIB (medical information bureau) and make it more difficult to secure coverage in the future. So many people are declined by the likes of State Farm who is clearly looking for the cream of the crop only. Good representation will provide you with the knowledge and the products best for your situation. You will understand what the insurance company is going to ask you and how it’s going to impact your coverage and premiums. You will have access to the most competitive rates from the top Life Insurers in the business and remove all the stress of you have in locating those particular insurers. Whether your high risk life insurance need is temporary coverage (term insurance) or a permanent life insurance need, we are committed to making this as painless as possible. We know your time is important to you. Rest assured that you will not be high pressured by our office. Information you give us will not leave our office unless you make a formal application for life insurance. We take your privacy very seriously.